Our Gameweek 23 Daily Fantasy Premier League Tips select three fixtures across the weekend, for their goal and clean sheet potential. Whilst these selections are based on the Starting 11 game and scoring system, you may also find them useful and relevant for Fantasy Premier League Gameweek 23. You can challenge the community by downloading the FREE App on Android or iOS and create a team. For more information on their mini-league fixture, CLICK HERE. Manchester City are selected as the Gameweek 23 daily safe spine, given they are unbeaten in their last 3 games, scoring 8 goals and conceding just 2. Meanwhile, Huddersfield are really struggling: they’ve just 1 point from their last 3, scoring 1 goal and conceding 3. They’ve also parted company with their manager David Wagner. A win should be a formality for Manchester City here: they won the reverse fixture 6-1 and there’s hope for another clean sheet given Huddersfield’s poor attacking record this season, particularly on home turf. 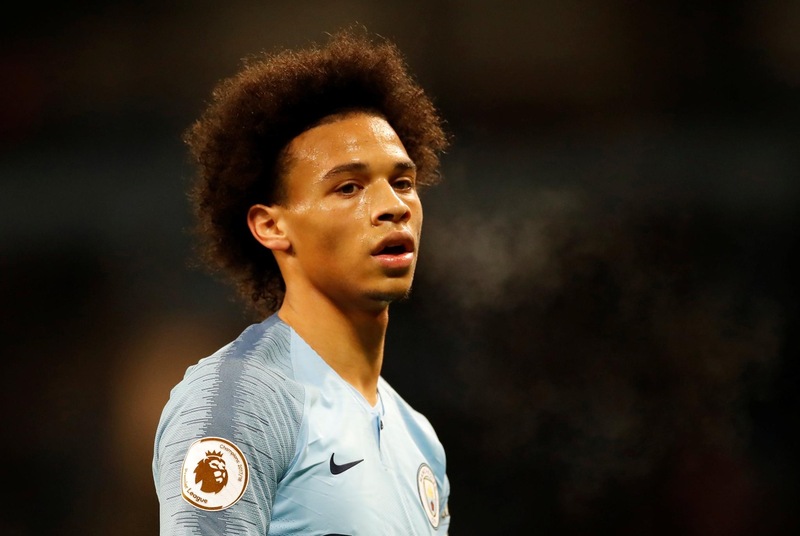 Ler0y Sane and Raheem Sterling lead the attack: the wingers should retain their places in the starting lineup, but changes are possible prior to the game if there’s some surprising team news. They’re both in form across League and Cup games, with a combined goal and 4 assists in their last 3 Premier League games. Bernardo Silva has produced 1 goal and 3 assists from his last 5 starts and should create plenty of opportunities for the attackers. Aymeric Laporte is well suited to the Starting 11 scoring format, with a high pass completion rate percentage to go alongside a potential clean sheet for Manchester City. With the reverse fixture ending 3-2, expect another haul of Gameweek 23 daily goals for Arsenal and Chelsea when they meet at the Emirates on Saturday evening. Arsenal have scored 5 and conceded 7 in their last 3 games, whereas Chelsea have scored 3 and conceded 1. Eden Hazard takes the remaining striker spot, with 2 goals and an assist in his last 4 games. He is on penalties and his away form is arguably more prevalent than at home in recent weeks: he’s a big game player and Chelsea’s attack is now boosted by the returns of Pedro and Willian. 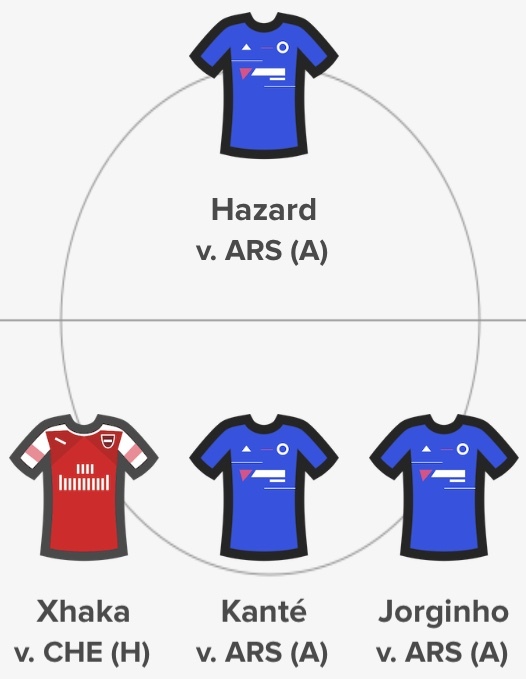 Unlike the Fantasy Premier League game, the Starting 11 format is well suited to defensive minded midfielders and we expect Granit Xhaka, N’Golo Kane and Jorginho to be in the thick of the action here. Completed passes, tackles won, passes intercepted and duels won will all contribute to their overall points. Xhaka and Kante have both been on the scoresheet in recent weeks too. It’s now 13 clean sheets from 22 games for our Gameweek 23 Daily clean sheet stack, with 7 of those coming at home and 1 coming in the reverse fixture. They’ve conceded just 4 goals in 7, whereas Crystal Palace have scored only 3 goals in their last 4 games. 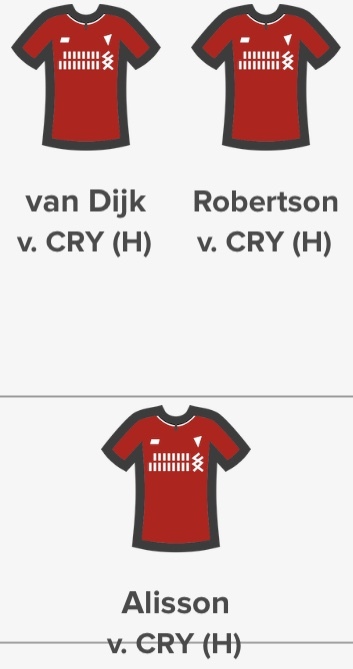 Andrew Robertson and Virgil Van Dijk are selected in the defensive slots, with injuries causing some selection headaches elsewhere in the Liverpool back line. With a combined 1 goal and 7 assists, there’s promise for attacking returns to go alongside a potential clean sheet. Allison gets the nod between the sticks: he’s providing incredible consistency this season, including 48 saves. 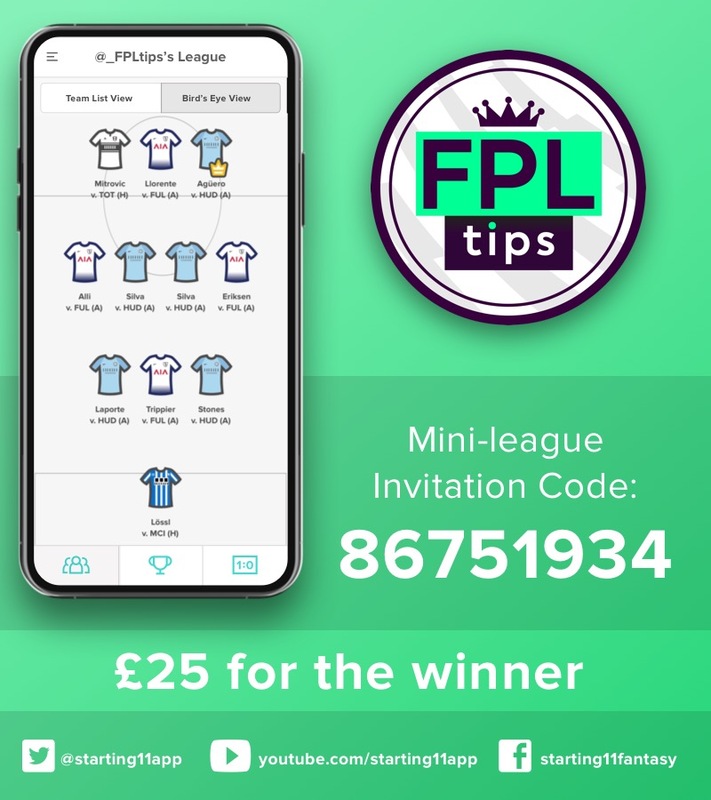 BEFORE YOU GO… There’s £25.00 on offer for the winner of FPL Tips Mini-League on Starting 11 this Sunday. It’s FREE to ENTER – Click the banner above to get involved or check out the video below.